Play Sweet Alchemy Slot by Play'N Go - Win up to 300,000 coins! Got a sweet tooth? Do you want some magic mixed in with your bag of candy? Well, Play’n GO have got you covered with their excellent Sweet Alchemy slot game. 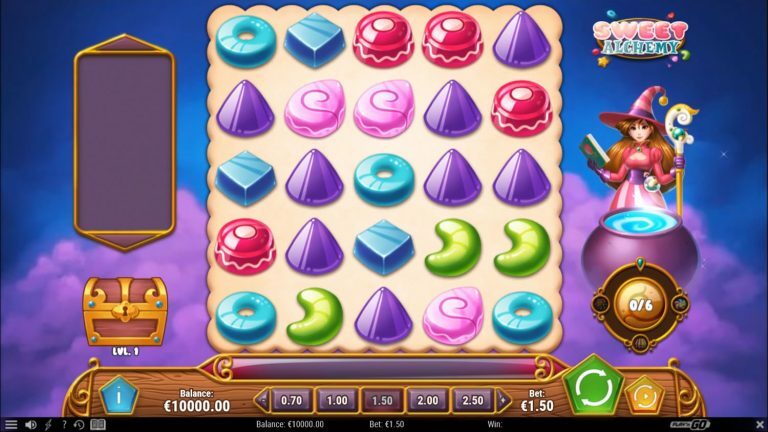 Sweet Alchemy is a candy-themed slot that is chock full of bonuses and unique cascading reels. If you were, or are, a Candy Crush fan, then Sweet Alchemy will rock your world, especially the opportunity to win real cash! As soon as you fire up the Sweet Alchemy slot, you will be greeted with reels filled with delicious candies. You will also notice the Sugar Rush Meter positioned on the bottom right, which when fully charged, will spoil you with a wealth of options and winning opportunities. The graphics are inviting, the soundtrack is well matched, and the animations will make you feel like a kid again. The game also features all the standard in-game online slot options that include Auto Play, the Max Bet and a range of coin settings that let you adjust the game to fit in with your style of play. The game also offers you the potential to win crazy cash, but you will need to land a cluster of 4 or more symbols – the bigger your cluster, the bigger the payout! As each cluster forms, it then explodes and the candies above cascade down for even more potential clusters. Every win in a single round, begins to charge up the Sugar Rush Meter. As the Sugar Rush Meter fills up, special Wilds are created on the reels. The first are 2 regular wilds, followed by 2 striped wilds and finally, 2 powerful spotted wilds. Obviously, as wilds are added, more clusters form and there are more wins! If you don’t fill the Sugar Rush Meter in the round, it then resets. Another fantastic feature is the Elixir of Power Bonus, which is a 5×5 chocolate bar with hidden prizes behind each chocolate square. In this feature, you need to select chocolate squares and get 3 matching elixirs to win a prize, being various multipliers. Every time you complete the Elixir of Power bonus feature, you then progress a position on the map which is filled with treasure chests scattered all over. Each chest rewards you with an extra 15% of your winnings from the base game, since the previous chest was opened. Sweet Alchemy has lots of cute and sweet candy symbols that appear on the reels. The symbols are jelly beans, chewy hearts, stars, cubes and more. The star symbol is the most valuable and if you get 8 stars clustered at the max bet, Sweet Alchemy pays up to 30 times your stake. In addition, the slot also has 3 different wild symbols. 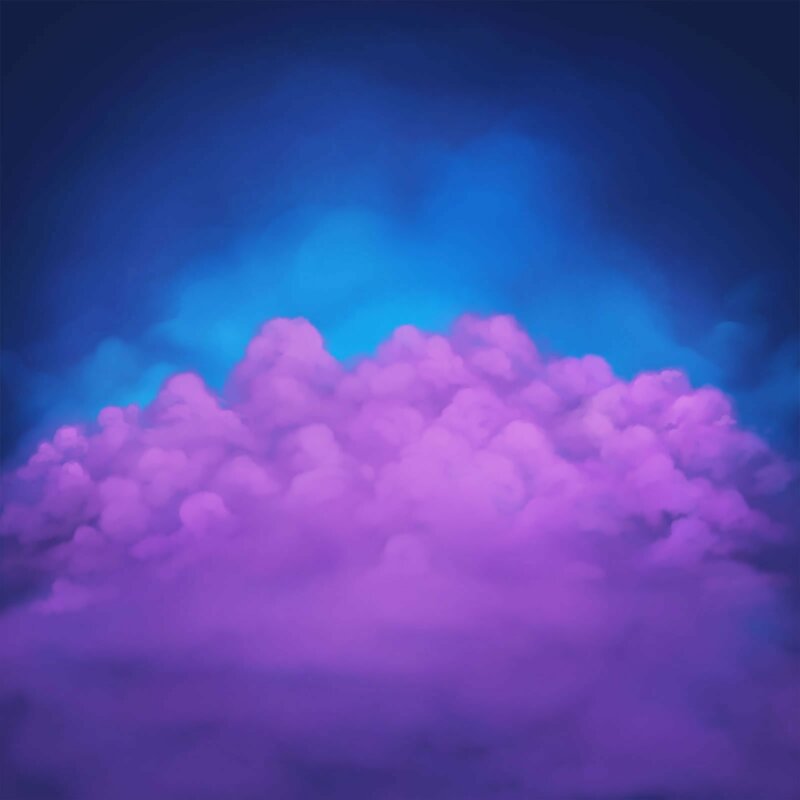 Sweet Alchemy doesn’t have a single dedicated bonus round but instead, is packed with features as described above, including the Elixir of Power Bonus which is followed by the Map feature. Sweet Alchemy does not have a fixed jackpot and is not linked to any progressive jackpot. The various features increase your winning potential, so if Lady Luck is on your side, you can expect some huge wins. Sweet Alchemy features a 5×5 grid. The bet amount is per round and not split over different lines as the game does not operate like a regular slot with paylines. This slot has a return to player percentage of 96.5%, which is well within the bracket of the top paying online slot games. Sweet Alchemy has a high volatility, but once you get the opportunity to play the plethora of features, big wins are well within reach. The Elixir of Power Bonus gives you the chance to win up to 3,000 x your stake. Definitely another winner from Play’n GO. Sweet Alchemy has the look, the feel and effects for great entertainment and most definitely, for some big wins. There are a lot of features to try to learn, so the introductory tutorial is well worth checking. We also recommend taking a quick tour of the paytable by clicking the blue hexagon on the bottom left of the screen. Once you know what you’re looking for, it definitely heightens the gaming experience.